Announcement – Full-Service Business Plans are Back! 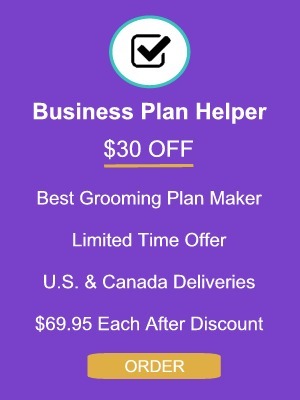 Before we created Pet Grooming Business Plan Helper we wrote over 500 plans for groomers and pet care professionals. We have 28 years experience writing them. By popular demand we are now once again offering full-service business plan writing for pet care professionals. You purchase our Pet Grooming Business Plan Helper and schedule up to 5 hours of teleconference with our professional writers along with completing some local tasks gathering information for your plan. In this way we fill out your Business Plan Helper. By appointment we consult with you to ensure you understand your plan, and it represents your exact dream. We do the spreadsheets, the writing and act as a sounding board. Easy! You get all of the files once completed and copies of your finalized business plan ready for presentation. As experts in pet care for over 55 years we offer professional plans for much less. Today most business plan writers ask $3,500 to $5,000 to do a comparable business plan. We can do this for you for HALF THE COST because of our extensive background, it is like being second nature to us. Let us share our specialty. You can stay busy working while we do the majority of the tasks. If you would like us to complete your business plan for you, contact us at 800-556-5131 (360-446-5348) or email our office. Don’t wait. We schedule 25 or less business plan consultations per year. 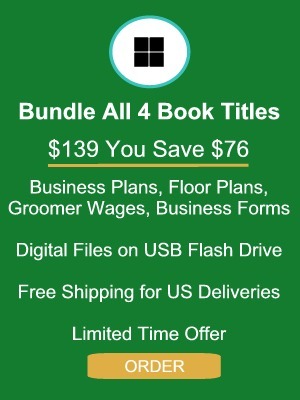 Pet Grooming Business Plan Helper & Sampler with Digital Files USB Flash Drive is our bestselling Grooming Business in a Box® series title with over 4,000 sold. It is far and away superior to other pet grooming business plan products available today. It is not the cheapest but we wanted you to have the best. Although there are good business plan writing books and software available at office supply stores and online, none of them are devoted to pet grooming, and none offer 7 real sample grooming business plans. If you don’t know accounting you will find their software difficult to use, if not impossible. Not so with our product. It produces truly professional business plans. In fact, read our Testimonials page. Actual groomers like yourself share how impressed banks were with their finished products. We spent an entire year full-time simplifying the process and making it specific to pet care. Many consultants and accountants use our product to write pet care business plans for their clients, it’s that good. No other grooming business plan product is backed by over 55 years of grooming industry experience. As consultants we wrote around 500 business plans for $2,000 or more. Now for less than $100 you can write a truly professional business plan more easily than you may think. Don’t pay thousands to have a plan written for you. 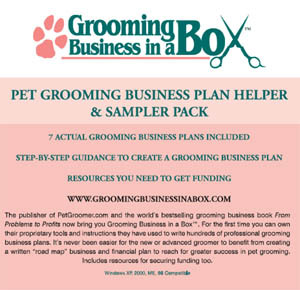 Pet Grooming Business Plan Helper & Sampler is the only business plan product providing you with samples of 7 real grooming business plans! You will never find another grooming business plan maker as professional and complete. 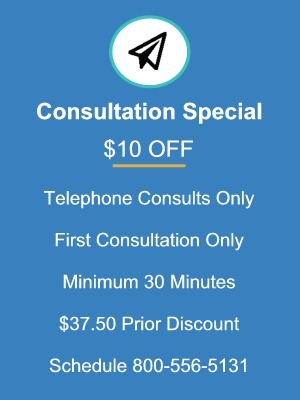 Did you know those would cost $20,000 if done by a professional consultant? Our sample plans cover many types of grooming business including shops, spas, salons, mobile, self-service pet wash, home-based and departments. Don’t worry about 360 pages of instruction! Sample business plans account for 210 pages. You do not have to read the samples on your computer monitor. It is much easier to read them already printed out on letter-size paper. Instructions to create your business plan using the Digital Files USB Flash Drive account for 150 pages in easy-to-read format. Would you like to see the Table of Contents and List of Illustrations for Business Plan Helper & Sampler User Guide? Great. The User Guide helps you step-by-step to create your business plan using the Digital Files USB Flash Drive. Click the link below to view it in a new window on your device. Note: References in the table of contents to “CD” refer to Digital Files USB Flash Drive. Files are now provided only with the USB. The User Guide was written in exacting order. Start at page one and continue in order, a page at a time. Never skip a chapter. The work you do in each subsequent chapter requires information from the previous chapter. We kept it simple! Pet Grooming Business Plan Helper and Digital Files USB Flash Drive has all the digital files you need to compile a professional plan for investors or banks. For the first time we present a collection of extraordinary Microsoft Excel® spreadsheets for public use. You won’t find anything similar to the expertise of these spreadsheets anywhere. You load our “fill-in” style Excel® files on your Windows® computer running Excel® or Mac® as long as it has compatible programs for Word® and Excel files. Use the step-by-step instructions in the User Guide to complete 5 spreadsheets using Microsoft Excel® including charts and tables! When finished you copy them into your Microsoft Word® template for a truly professional business plan document. One year in the making just for you! Pet Market Calculator – determine estimates for dog and cat population in your business market area. Client Base Calculator – determine how many clients you need to reach your financial goals. Start-up Purchases Planner – make a complete shopping list of everything you need to start-up your business, including leasehold improvements, mobile options, and even the smallest detail of grooming supplies. Amazing! Grooming Wage Calculator – now you can calculate annual wages for yourself as a one person business, or your staff for a professional financial plan. It gets better. Once you are done with the Pet Grooming Business Financial Plan, you write the text of your business plan and copy financial charts and tables from the Financial Plan into your written plan. Beautiful! It all comes together and when you are done you have a business plan just like those in the Sampler worth up to $5,000 each. Create a business plan just like those in the Sampler of 7 real business plans. Using your computer (Windows® or Mac®) capable of running MS Office® or compatible programs by other software publishers, you load a special outlined fill-in style business plan document we created onto your computer. It has notes indicating what information to put in each section, including charts and tables from your Financials. We give you topical instructions on what you need to write for each section. It’s YOUR original writing with our professional organization. When you are done you can have a truly impressive business plan. Click the link below to see the Table of Contents for your business plan. It will open in a new window on your device. Let us help you to fill-in your business plan details. References in the table of contents to “CD” refer to the Digital Files USB Flash Drive. Files are now provided only with the USB. When you prepare the financial plan’s fill-in forms our spreadsheets automatically prepared colorful matching charts like the ones you see below. All you have to do is copy and paste them from the spreadsheets into your business plan written document. Wow! Readers creating business plans must Microsoft Excel® and Microsoft Word® programs (or compatibles). Both programs are included in Microsoft Office® 2003 or later and today’s Office 360. There are other compatible spreadsheet and word processing programs that can be used as well. Mac computers can be used as long as they are running compatible word processing and spreadsheet programs. Advanced users must be able to use these programs and have some bsic accounting knowledge. Like most groomers and career seekers you should expect to require some level of assistance to complete the Financial Plan section. It’s worth it; the Financial Plan information is typically mandatory in business plans seeking lenders and investors. Most users only have to ask a few questions of an accountant or bookkeeper to complete their financials. You will need a printer, black and white or color optional, to print your plans. If you don’t have one there are office supply stores, and places like Fedex Office stores or The UPS Store, that can read and print your final business plan document. All of them should be able to beautifully bind your final business plans too. Our support services do not include instruction in how to use your word processing and spreadsheet programs, such as MS Word, MS Office or MS Excel or compatibles. We have written business plans for groomers since 1989 and continue to consult at times with bookkeepers and accountants on business plan projects. You should expect to do the same, but the amount varies by your skills. You can reduce the assistance you require. Our step-by-step instructions guide you to collect a lot of information on your own. Also, our step-by-step instructions guide you to make decisions like your grooming fees to charge, what your rent or mobile van payment will be, and costs of operating the business, the equipment you need. You shouldn’t need to pay for that information if you do the research. Self-employed persons should be able to gather this information. Then our step-by-step instructions guide you to project how many pets you will groom, how much to pay your staff, etc. Again, you should be able to do that research. You also have 7 business plan models in the User Guide to help you. As a businessperson that grooms you compile all the required information on your own. Only then are you ready to use the Advanced Features. Perhaps you have a friend or family member with writing, word processing and financial skills. Anyone should be able to locate a consultant, bookkeeper or accountant to help you to with the fill-in Pet Grooming Business and Financial Plans using your notes. You know grooming; they know finance. If you do all the preparatory work it usually takes 1 to 2 hours for your professional assistant to finalize your entries in the Financial Plan, and then you can write the text of the business plan. Some of our consultation clients have worked with professionals associated with the SBDC (SBA) and SCORE programs they helped our business plan clients complete the financials for very little, even nothing. Consult with your professional assistants before purchasing this title to better understand their fees to help you complete the Financial Plan and Grooming Business Plan as needed. Our selling price does not include the fees you may incur to complete your business plan. We are not responsible for any fees you may incur, this is a fill-in program meaning you complete the work or get the assistance to help you complete the project. MS Office, Office 360, MS Word, MS Excel, Fedex Office, The UPS Store, Windows and MAC are registered trademarks of their respective owners.